Do you love films and TV series? 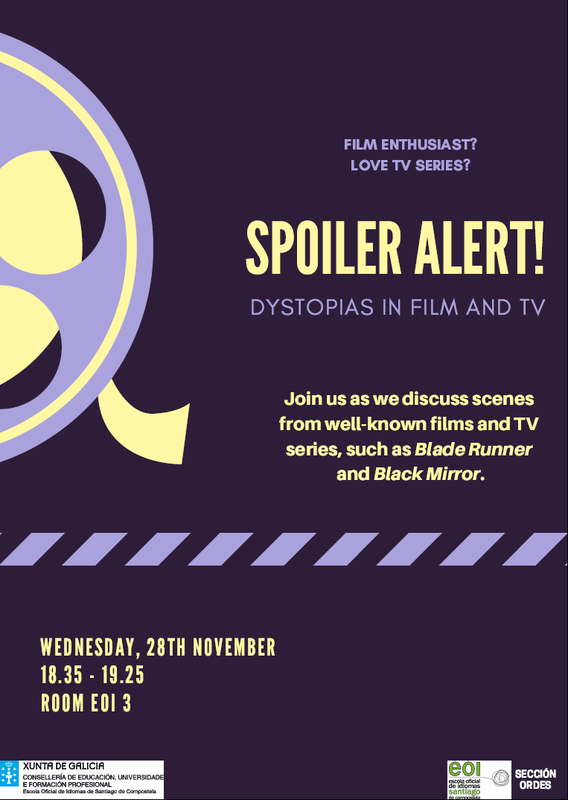 Join us as we discuss scenes from well-known dystopian films and TV series, from classics such as Blade Runner to current hits like Black Mirror. Wednesday, 28th November, from 18.35 to 19.25, in Room EOI 3. Departamento de Inglés, Sección Ordes. 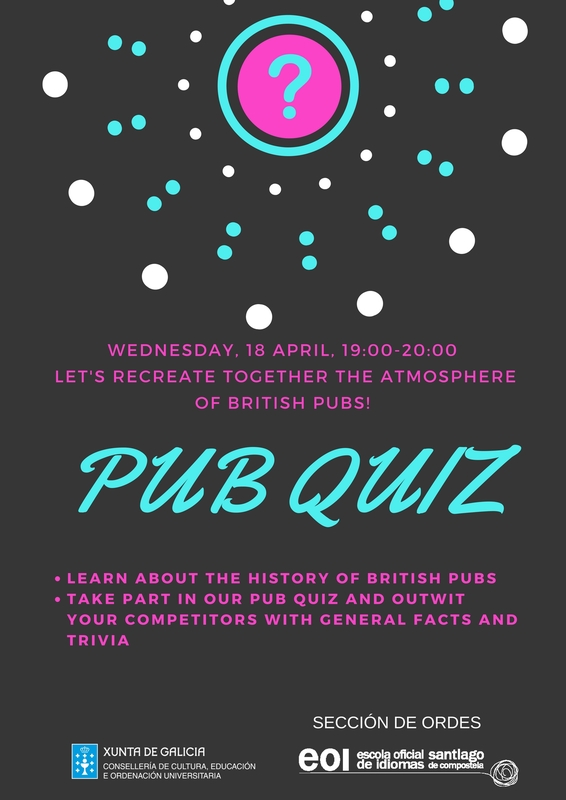 Learn about the history of British Pubs and take part in our Pub Quiz. Wednesday, 18 April, 19:00 – 20:00. 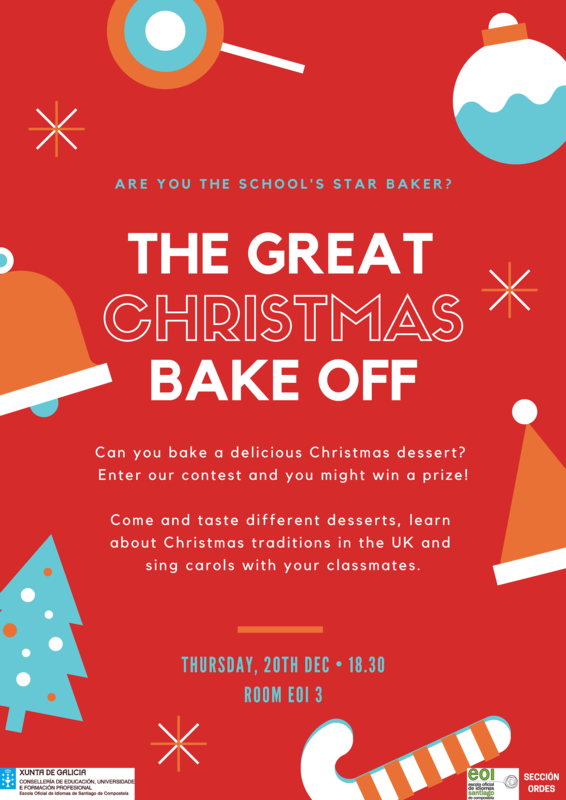 Sing and bring Christmas cheer! Learn about the Christmas season in the UK and the USA. Sing carols with your classmates!! Wednesday, 20 December 2017, 18:30-20:00. 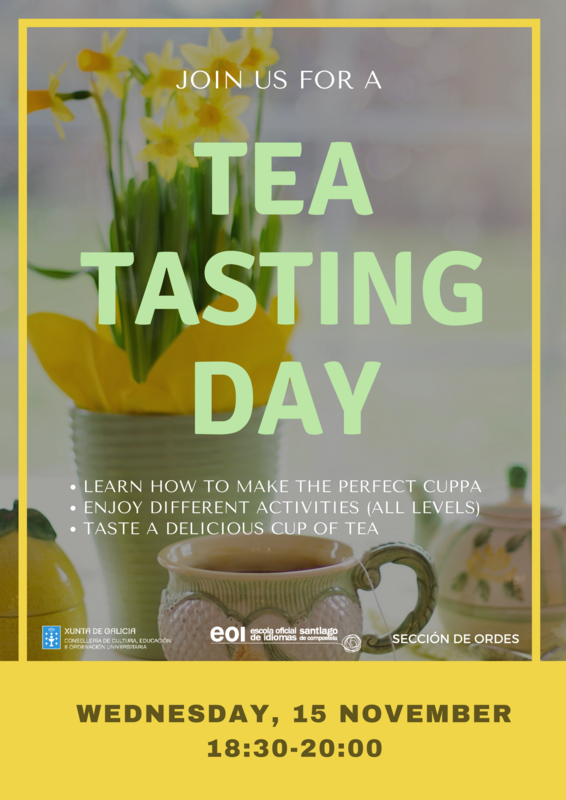 Join us for a Tea Tasting Day! Learn how to make the perfect cuppa. Enjoy different activities (all levels). Taste a delicious cup of tea. Wednesday, 15 November from 18:30 to 20 p.m. Sección de Ordes. Join us for a Thanksgiving celebration at Sección Ordes. 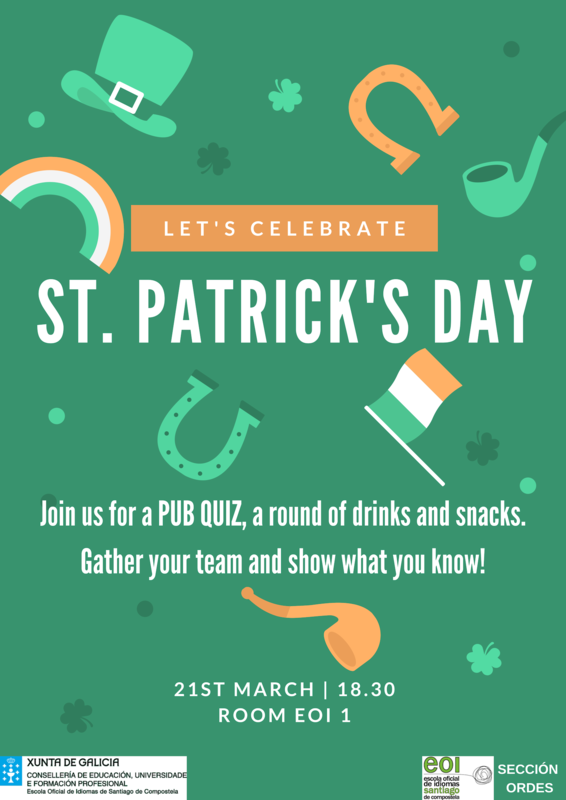 There will be different activities and a delicious dinner. Thursday, November 24th from 19:30 to 21:30. Come and celebrate this special night at the Sección Ordes!! • Have fun playing Halloween games…and you can also wear your scariest costume!!! Thursday, 29th October 2015, from 19:00 to 21:00.